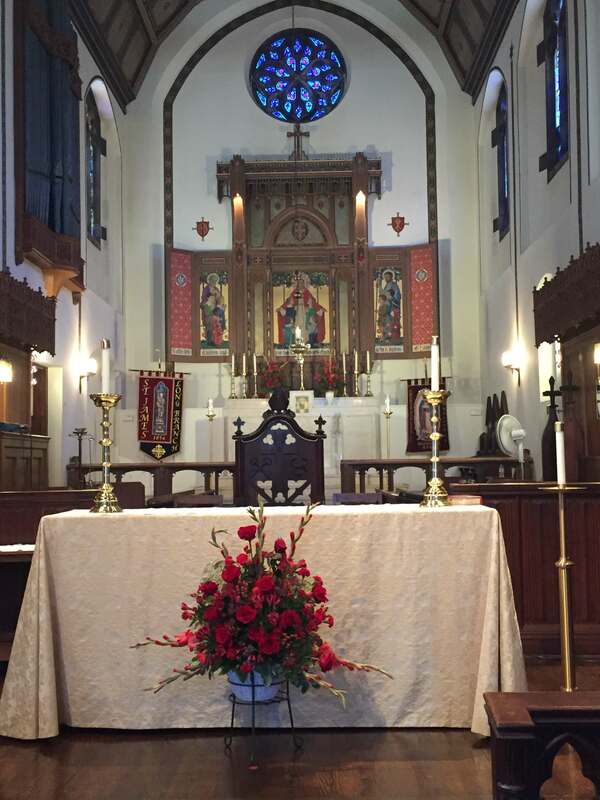 Worship is at the heart of this church, and at St. James' the Mass, sometimes called the Holy Eucharist or Holy Communion, is at the heart of all that we do. The church is located on Broadway in the center of Long Branch, not far from the Police Station, the City Building, and the Public Library; between restaruants and a hot dog stand, on a busy street that is never empty and a sidewalk that is never without a bicycle. Our ministries, fellowship, hospitality, spreading of the Gospel by word and example, outreach to the poor in our community, and formation as Christians all flow from worship before the Altar. The rituals of Anglo-Catholic worship engage us in the fullness of who we are as human beings. We stand to praise; we sit to listen; and we kneel for prayer. Worship involves the mind, the heart, and the body. Yes, rituals can become empty when we perform them absent-mindedly without paying attention to their meaning. The solution, however, is not to jettison the rituals but rather to give them life by performing them with thought and prayer. At one level, special clothing for worship is similar to that of ceremonial dress uniforms in the armed forces: they signify a rank and a function. When the Sacred Ministers put on vestments, they are stepping into a defined liturgical role. So far as possible, the vestments serve to obscure the individual personalities that call attention to themselves and distract the congregation from prayer and worship. For example, the chasuble worn by the priest helps the congregation to see not Father So-and-So with all his quirks but rather the celebrant of the Mass, a stand-in for the risen Christ. At another level, the wearing of sacred vestments serves as a reminder that the ministers of the Mass are engaged in no ordinary activity but are walking on holy ground and handling holy things. Some of the ceremony is ancient. Incense, for example, has been used in Jewish and Christian since before the Bible was recorded. It is associated with sacrifice and used to prepare the place of sacrifice, to bless the elements of bread and wine, and to incorporate all the people who are present in the offering. We bow often. It is always a lowering of the eyes as a sign of respect. 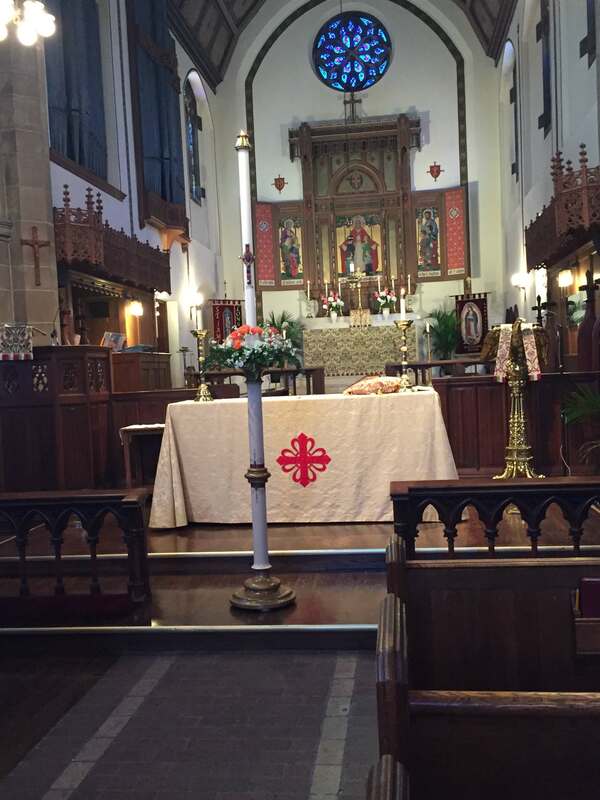 Sometimes we bow to the sacramental presence of Jesus; we bow when the cross passes in procession; and we bow to one another in greeting and in gratitude.